Oppose California Senate Bill 1062! Write ASAP! “Senate Bill 1062 will be heard in the Senate Committee on Natural Resources and Water on March 29th. 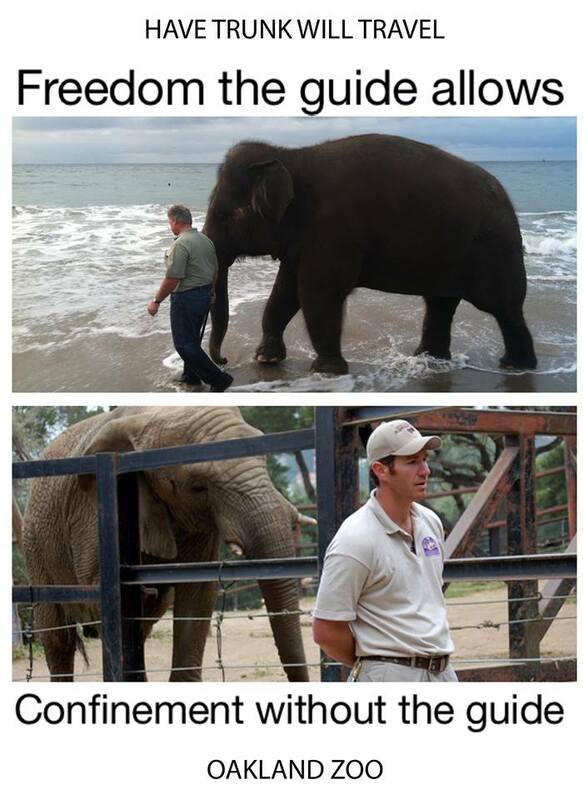 To find out more visit our website, www.HelpElephantsNow.org. When writing include your name and address on your letter. State your opposition to SB 1062 at the top of your letter. 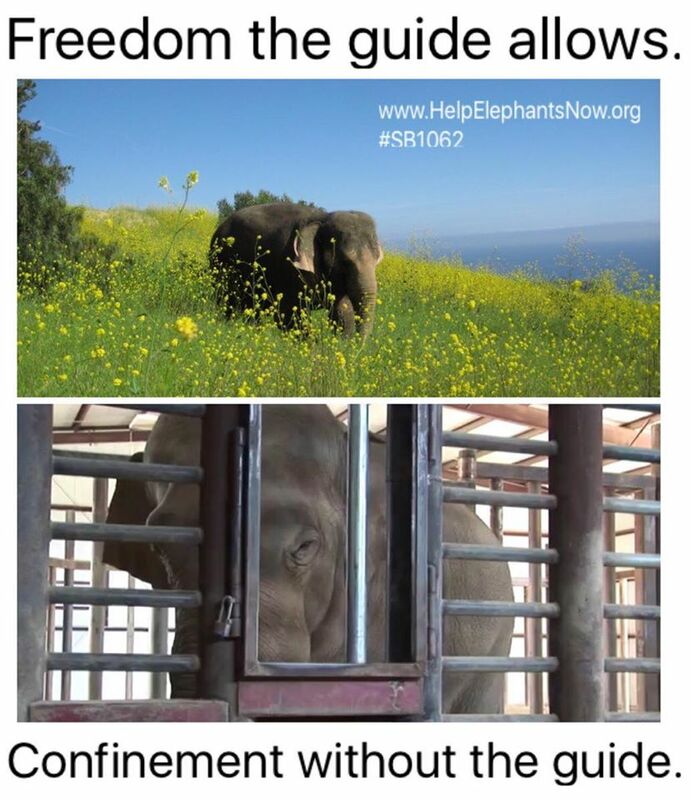 “SB 1062 is the new bill introduced in California that would ban anything that an elephant trainer has in their hand, not just the guide (bullhook). Since this new bill creates a civil statue instead of a criminal one, it is open to the interpretation of any person who wants to file suit. That means that this bill would include target poles, ball point pens, or anything the complainant says is “designed to inflict pain” because anything can be misused in the wrong hands. This bill could be used to bring multiple frivolous suits against all zoos in California, bankrupting them with court costs before the merits of the case are even heard. Fanatical Animal Rights Terrorists are all ready using Civil suits to take animals from their long standing owners by the ‘Preponderance of Evidence’ even when there isn’t any…this allows them to insinuate anything and everything Fight this tooth and nail-EXTREMELY Dangerous Bill!!! It doesn’t matter where you live-This bill must be stopped!!! ~ by topcatsroar on March 12, 2016.